How about a beautiful stay in a monument? 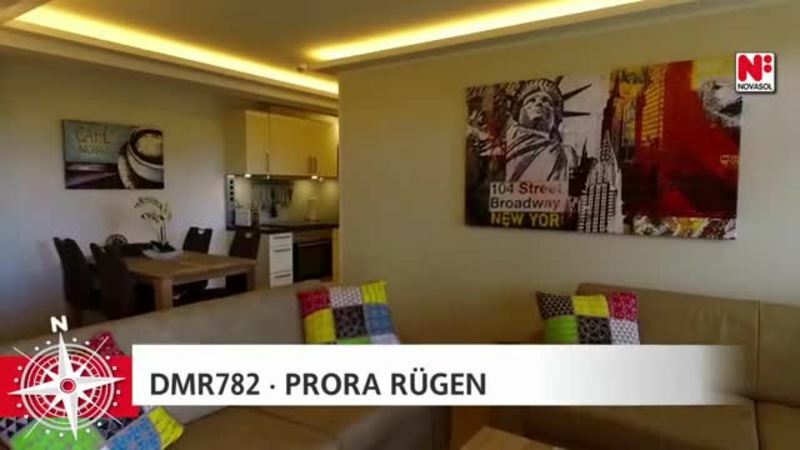 Enjoy a great holiday in this exclusive designer apartment of 57 square metres in Prora Solitaire, right on the Baltic Sea (Flat Type "Eden"). Situated just a few steps from the most beautiful beaches of Rügen, this is a special holiday home with upscale furnishings and offers relaxation and luxury in any season. One of the largest monuments of Germany has been transformed into a real holiday paradise. The resort has modern apartments with impressive design and stands right on the 7km long heavenly beach called Prorer Wiek that carries a Caribbean Flair on the chalk cliffs with crystal clear water. Along the beach boardwalk, there are cafes, restaurants and small shops to buy your daily needs. You will not only feel the fresh sea breeze and relax with a glass of wine on the private terrace, but also enjoy a cup of cappuccino in the private bar called Prora Solitaire in the morning or enjoy the sunset after a beautiful day on the beach. The holiday apartment with two bedrooms ensures that you experience immense pleasure and a feel-good atmosphere. The exclusive matching furniture stands for a way of life, harmony and elegance. Every piece of furniture and home accessory is carefully selected, and nothing has been left to chance here. A healthy indoor climate is ensured by the use of allergy-friendly materials. From the fantastic balcony with high-quality outdoor furniture, enjoy the sunlight and the stunning view of the Baltic Sea till the horizon.